As some of you know, I am basically obsessed with using book companions in therapy. I love the versatility of using the book to target a variety of goals and objectives in one session. Teachers and administrators love that I am using real literature in my therapy. The skills that we target with books always translate into skills in the classroom. 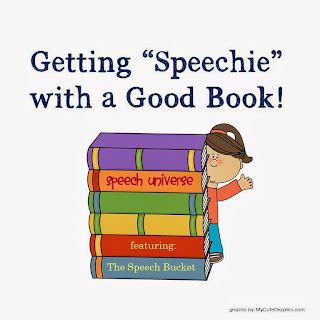 So, because of my slight huge obsession with book companions, I got together with some of my other SLP blogger friends and have started a new weekly feature on my blog called: Getting Speechie with a Good Book! This weekly feature will highlight one book companion from a fellow blogger each week. I will show how I used the book companion with my students, and let you know what their favorite parts were. This week is my first installment of this feature. 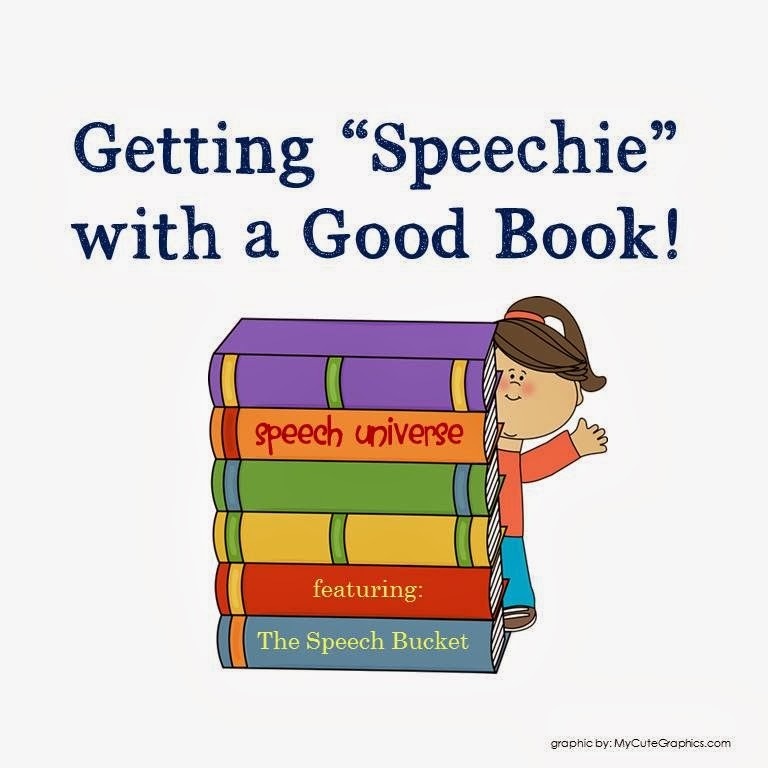 This week we read the book If You Take A Mouse To The Movies, by Laura Numeroff, and used the book companion from Mindy Stenger of the Speech Bucket. This book is one of my favorites in the If You Give A... series! I just love this little mouse, and the kids really crack up at him! Mindy put together some great sequencing activities to go along with this book. First, there are ten large picture cards that students can sequence. Next, she has two different sequencing mats. There is one mat that just has numbers on it, and one that has four of the pictures already placed on the mat, and the student needs to place the rest in the correct order. This differentiation worked really great in groups for me this week! Once again, Mindy was great with differentiating this task. There are questions that have a choice of three different picture answers, and also the same questions presented without a choice of answers. Again, this was really great in some of my groups where certain students need that visual cue for answers, and others are able to answer without a choice of answers. My students with ASD, and my kindergarten students loved this activity. There are three different categorization boards included in this packet. They all ask the question, "What would the mouse see if you took him to the...?" The pages include the zoo, the ocean, and the farm. Two really cute game boards. Picture Bingo- The pictures for this bingo game can be used for receptive identification (show me the...) or as expressive vocabulary (what is this?). This was a really cute and versatile book companion. You can get this great companion HERE. Mindy also has a really cute add on to her packet. Guess what? It's FREE! You can grab that HERE.